Once again, a big thanks to Rob Hunter and his inspired Ceramics in America 2014 ‘top ten’ issue. If my "Hit Parade" were to be about looks alone, I might have included the creative slip applications of English Mocha ware, or the bizarre, twisted explorations of George Orr, or the brilliant cobalt blues of German Westerwald salt-fired stoneware, or the wood-fired stoneware of Richard Bresnahan with whom I did my apprenticeship, etc, etc. etc. 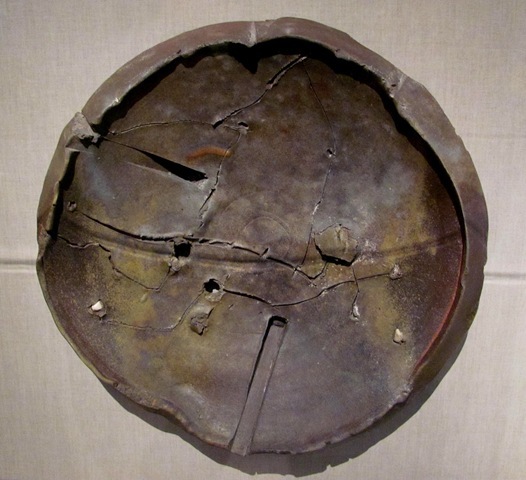 But the genius of this exercise is to explore pottery’s intimate walk with humanity through the ages. And it invites musing on one’s own relation to this incredible field as well. Narrowing that down to ten entries is challenge enough! For example, I could have easily included the Absalom Steadman stoneware jug c. 1823 which received the highest price paid at auction for early American pottery, thus illuminating the status of historic pottery in today’s art economy. The 1840 William Henry Harrison transfer print pitcher by David Henderson speaks volumes about the part ceramics played in the development of our national politics. 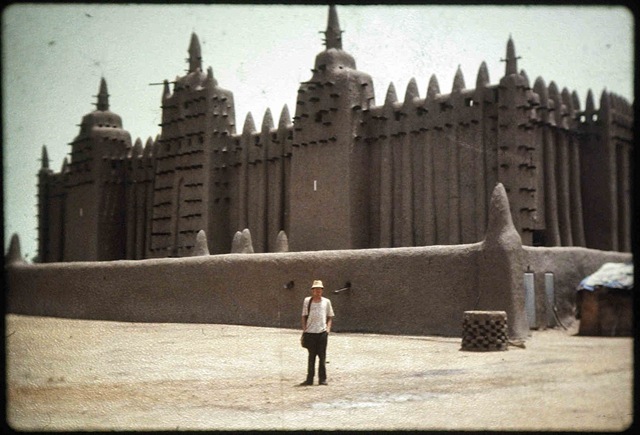 The 11th century Central Mosque in D’jenne, Mali is the world’s largest adobe clay structure. (But what’s that silly tourist doing there?) Potters for Peace’s Filtron water purifier project highlights the enormous contributions of pottery to rural community development efforts. The black pottery of Maria Martinez offers a classic example of pottery and cultural revitalization. And the curious parallels between Richard Bresnahan’s unique wood firing process and astro-physics is fodder for an entire book in itself. Every picture tells a story. So does every pot. The thing is, when it comes to pottery history’s ‘top 10,’ the story itself is quite often where it’s at. The next few rounds of this journal come with a very big tip of the hat to Robert Hunter and his 2014 edition of Ceramics in America. Rob asked this edition’s contributors to each compile a ‘top ten’ list of ceramic items using whatever criteria was relevant to their perspective situations. The resulting lists offer an inspired and surprising overview of ceramic history and beyond – and they motivated me to come up with my own list. So now I look across centuries and continents, following pottery’s intimate role in the long parade of human development. Many of my selections are indicative of a certain time, place, or topic. Other items could have been substituted. And of course some selections are, inescapably, personal favorites or items that have particularly impacted my life. I highly encourage anyone interested in this topic to get a copy of Ceramics in America 2014, and to put some time into configuring your own list. The results will be impressive. Ceramics in America, 2014. Robert Hunter, ed. Chipstone Press/UNH. 2014.